So I reserved the movie online, hopped in the car, retrieved the movie from the kiosk on my way to pick up Samantha and then settled back home for some fun and laughter. That might seem like too much information for where this story is going, but stick with me… it has a point. A few hours later I watched the DELETED scenes, and what a great lesson I learned from doing so. There were about 8 deleted scenes which varied in length from 30 seconds to several minutes. I STRUGGLED to watch the deleted scenes because they were so boring. They didn’t add anything to the movie. It was an enlightening experience and made me think… How often do we put stuff out into the world without fully vetting it and making it the most polished, perfected, exciting thing? The Art of the Edit is something we need to take note of and incorporate into our process more fully. If you’ve ever worked with a writer you already know that even when you think you’ve written the perfect content, there is something to be deleted, something to be clarified and something to be corrected. After watching the deleted scenes of Silver Linings Playbook I could see why they chose to delete those scenes and believe that if they had kept them in, the movie would not have reached the award winning caliber that it did. This movie was so successful that even 18 months later I would have to pay $12.99 to watch it online, and it was still listed in the local kiosk for Redbox. That’s a noteworthy success metric. So how do we implement this new way of thinking/doing in our business? 1) Always get a second opinion. It’s so important to step out of your box and get the input of others to make your service or product better. Production houses do this with focus groups, and so can you. Get a team of reviewers that are willing to review and test your ideas, concepts and protocols to see if they need adjusting. 3) Keep that good thing going. 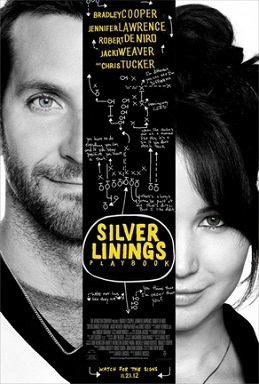 I went to the website for Silver Linings Playbook, and even visited their Facebook and Twitter page, and it’s all still active. The mistake some business owners make is to let the activities around their promotions fade and become dated. This movie is obviously still pulling in viewers because they haven’t let that happen. So what are you working on that needs the art of the edit? Pull out what you can, add what you need and get someone else to weigh in. It just might take your latest creation to award winning status. Share what you’re working on in the comments below. Great post! Less is often more. Thanks Prema! I wish more people would take this to heart.